Learn how to tell the Story of a Life through words and pictures. Whether you are designing the funeral program yourself, using a funeral program template, or even having it professionally done, the SIMPLE GUIDE: Preparing A Funeral Program tells you all that is needed to complete it. 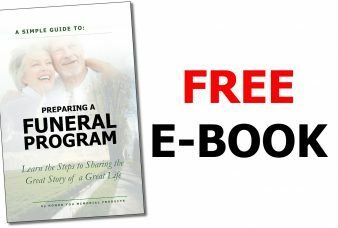 Subscribe to our email list to receive a FREE SIMPLE GUIDE on preparing a funeral program.